Dravyaguna is the basic subject of Ayurveda having eight broad branches. It may be called as the Materia Medica of Ayurveda . 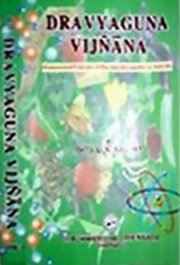 This series by a renowned physician and a versatile scholar of Ayurveda is the best in English language. The first volume dealing with the fundamentals was published in 2002. There is no complete text in English on dravyaguna. Earlier some attempts were made by H V Savnur and Moss in English. Still a comprehensive English text remains in demand. With this background, the author has decided to prepare a unique text of fundamental concepts of dravyaguna as well as on drugs in English. This will be useful to the under graduate as well as the post-graduate students of Ayurveda. At the same time practitioners and teachers will also appreciate the references and subject matter. This book mainly covers the first paper of Dravyaguna for BAMS students as per the CCIM syllabus. There are sixteen (16) topics in the syllabus which are divided into two parts (A&B). Each part will cover eight topics. After careful examination of the syllabus, several repetitions were found by the author. Karma chapter is discussed more eleborately with modern pharmocological actions. Several herbs screened for biological and pharmacological activities are mentioned with relavent references. Research works related to Rasa, Virya etc., are also quoted wherever relavent or necessary. The panchabhoutick aspects of Rasa, Guna, Virya etc., are discussed in respective chapters with scientific background. Overall, the text is meant for every one who is interested to learn about fundamental principles of dravyaguna in Ayurveda. One can not forget the dictum-a good physician is a good pharmacologist too. It clearly indicates that a thorough knowledge in the science of drugs engenders excellent success in clinical practice to the physician. Dr J L N Sastry hails from a traditional Ayurvedic family. He is born at Narasapuram (W G Dist., Andhra Pradesh) on 06-07-1965). The author is the recipient of two gold medals from Nagarjuna Univ. (AP) fro the merit shown during BAMS (1988). He presented several clinical and scientific papers at Regional, National and International seminars. Author also had given Radio-talks and given guest lectures at various prestigious institutes (both Ayurvedic & Modern Medicine). He published a book 40 years of research in Aired in A P (on behalf of grda, Hyderabad).